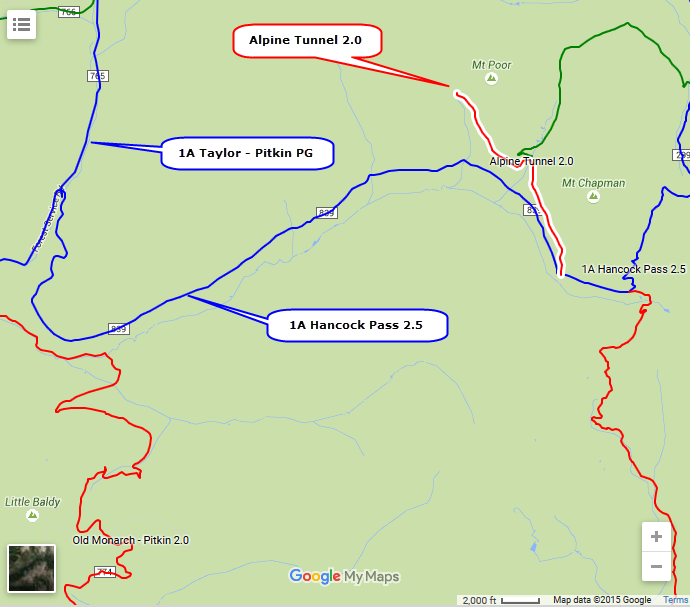 Road in to tunnl closed by a slide in spring of 2016. I have not been there since the slide. Do not know present condition. The Alpine Tunnel was once the highest railroad tunnel in the world. 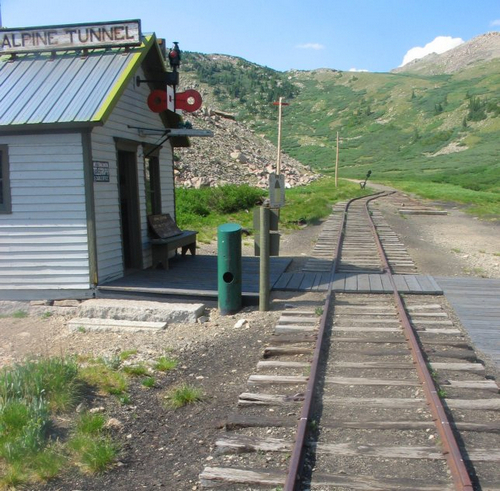 At an altitude of 11,523 feet, it was the first tunnel to be built through the Continental Divide. The Denver, South Park and Pacific Railroad began the work of connecting St Elmo to Pitkin, Colorado in November, 1879 with a construction crew working at either end to connect the line. Anticipating that the mineral rich area would be the next big mining "bonanza,” as m﻿a﻿ny as 10,000 different men worked to build the line and the tunnel at various times. A crew of around 400 worked steadily, but turnover was quick, as the men suffered through the cold, brutal work. Laborers, working for $3.50 per day, and explosives men, who worked for $5.00 per day, were often forced to go from their worksite to their cabins in groups in order to avoid being lost in the snow. Excavation of the tunnel began in January, 1880 with plans to complete it within six months. But, those were ambitious plans, especially starting the project in the middle of winter. It would actually take the railroad more than two years to complete the tunnel and cost them far more than they had planned, coming in at about $300,000 and some $180,000 more than they had initially budgeted. Due to crumbling granite in the tunnel, over 400,000 board feet of California redwood was required to support and encase 80% of it. The two crews met each other in the tunnel in July, 1881, but it would be another year before it was ready for the train. When the first narrow gauge train came through in July, 1882, the tunnel was 1, 772 feet long, over two miles above sea level, 500 feet below Altman Pass (later renamed Alpine Pass) and the most expensive railroad tunnel built up until that time. Beyond the west portal exit of the tunnel, stood the alpine Tunnel Station, the highest railroad station in the nation; as well as a turntable, water tank, stone boarding house, and engine house that was large enough to house six engines. This is a short road off Hancock Pass. Access is much easier from the Pitkin side.